Anton Kraft was the greatest cellist of his time. His significance as a pioneer regarding the technical development of cello playing is only rivalled by his French contemporary Jean-Louis Duport. Anton Kraft was born in the Bohemian town of Rokycany, son of Franz and Magdalena Kraft – but when exactly? The majority of the biographical and musicological literature agrees on 30 December 1749 as Kraft's date of birth, but some authors disagree. 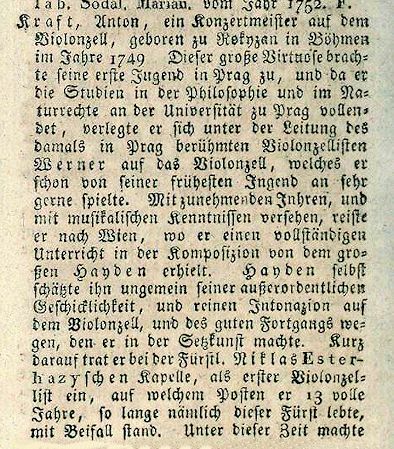 In his article in the ÖBL Theophil Antonicek gives the date 30 December 1752, which differs from the information that in 1958 Othmar Wessely published in vol. 7 of the old edition of the MGG. New Grove and the new MGG also give 30 December 1749 as Kraft's date of birth. Wurzbach's source for Kraft's year of birth were Ernst Ludwig Gerber and Gottfried Johann Dlabacz's Allgemeines historisches Künstler-Lexikon für Böhmen und zum Theil für Mähren und Schlesien, published in 1815. To be returned. Owing to the society's regulation the supplicant's request cannot be granted, because he is an out-of-towner. Issued on 26 April of the current year . Kraft's situation was similar to Haydn's in 1778, who, being an "Auswärtiger" (out-of-towner) residing in Hungary, had to deposit 300 gulden to be accepted as a member (Haydn's application was eventually unsuccessful for other reasons). Carl Schöringer and Franz Xaver Hammer (Marteau), whom Kraft named as precedents, were musicians in Prince Esterházy's orchestra who had been allowed to join the society in 1775 and 1776 respectively, in spite of being "Auswärtige". 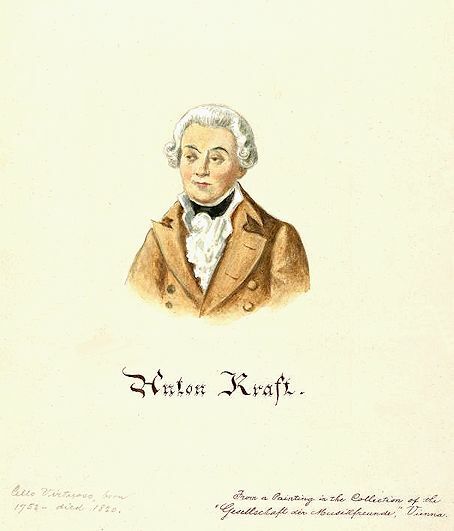 Kraft was only able to rejoin the Tonkünstler-Sozietät in 1791, after he had moved back to Vienna and had become an employee of Count Antal Grassalkovich. The only possible explanation for the wrong date of Anton Kraft's birth recorded in the minutes of the Tonkünstler-Sozietät is that the date on this birth certificate was false, or the secretary of the society misread the document. It is unlikely that the parish priest had misidentified the year in the church register, because Kraft's entry is closely followed by the headline "Anno Domini 1750". Pohl's book contains several wrong dates of birth of members of the society. Sometimes Pohl blindly copied the list of members which had been written in 1844 by the society's then secretary Stephan Franz, sometimes the entry in the minutes is already wrong, because either the secretary made a mistake, or the original baptismal certificate was incorrect, like in the case of the Court copyist Wenzel Sukowaty who, according to Pohl, was born on 31 July 1746, but actually was born on 31 August of that year. Now for something completely different. At some time around 1801, Nikolaus II, Prince Esterházy thought of hiring Kraft again, but he did not want to trump the salary that Kraft received from Count Lobkowitz. And yet, in honor of his service for Nikolaus I, Anton Kraft never lost his "Deputat" (payment in kind) from the Esterházys which consisted of firewood, tallow and wine. Kraft died on 28 August 1820 at the age of 70 of exhaustion. 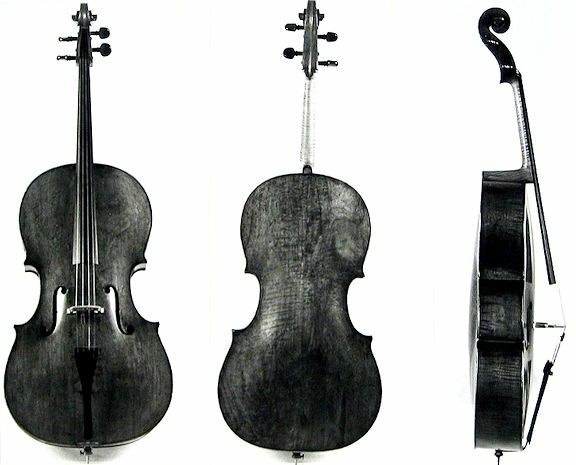 He left behind a widow and eight grown up children of whom the eldest, the cellist Nikolaus Kraft, inherited his father's cello, an instrument by Vincenzo Ruggieri (1663-1719) which was valued at 80 gulden. This instrument is probably the cello labelled "Vincenzo Ruger detto il Per. In Cremona 1697" which was last sold in 1987 by the dealer Jacques Français (1923-2004). Soon after her husband's death Marie Kraft applied to Prince Nikolaus II to receive the amount of wine that had been granted to her late husband. But her request was denied. [Auszug des Exhibiti.] Kraft Marie, Wittwe des verstorbenen fürst[lichen] Violoncellisten Anton Kraft, bittet um das durch ihren Gemahl bezogene Wein Deputat. [Erledigung.] An die Wiener Hofstaats Kellerverrechnung. der Wein des Kraft mit 6 Eimern wird von 28. Aug[ust] l.[aufenden] J. [ahres] abgestellt, u. der Witt[w]e tägl[ich] ein Seitl bewilligt. [Number of the exhibits] Kraft Marie, widow of the deceased princely violoncellist Anton Kraft, requests the payment in wine that her husband received. [Conclusion] To the wine cellar management of the court in Vienna. As of 28 August the 6 buckets of wine for Kraft are cancelled and the widow is allowed to receive one seidel per day. My own experience as cellist has taught me that cellists need a sufficient amount of wine. The annual six Eimer of the better brand called "Offizierswein" that Anton Kraft had received was quite a lot of liquor. One Austrian Eimer was 56,589 liters which means that Anton Kraft received almost 340 liters of wine per year (0,93 l per day). The supply that his widow had to content herself with was much smaller. The seidel she got every day was only 0,35 liters. Marie Kraft died on 20 June 1825 at the age of 75. I have to correct myself. The Schubert entry has also been stolen and I remember having already noticed this more than ten years ago, but I forgot about it. Similar to the Beethoven entry a whole leaf (folio 80) has been cut from the register and had to be replaced with information taken from the Wiener Zeitung. Of course this replacement is insufficient, because, contrary to the official death records, the list in the Wiener Zeitung does not give places of birth and the times of death of the deceased. The missing and in itself worthless leaf was cut out by a user in an act of vandalism. The missing data have been completed from the Wiener-Zeitung. This is followed by the wrong date "18. November 1828" and the substitute list beginning with Schubert's name. The musician and composer Franz Schubert, unmarried, born here, aged 32 years, died on 19 November at 3:15 p.m. at Neuwieden No. 694 in the Sonnenhof parish [St. Joseph in Margareten] and was inspected of nervous fever. The unpublished entry concerning Schubert's death in the church record's of St. Joseph in Margareten shows two things: 1) Schubert's body was first supposed to be buried in the Matzleinsdorf cemetery and 2) Schubert only received the anointing of the sick, but not the last rites. Schubert was not buried on 21 November 1828. The exequies at Margareten, the transport to Währing and the second consecration at St. Gertrud's Church had taken too long. Schubert's body was put into the morgue at the Währing cemetery and buried the following day, on Saturday November 22nd. It is very unlikely that Robert Franz Müller had access to the original death records. Until 1922 – when the protocols were transferred to the City Archive and the thefts were noticed – these documents were held by the Totenbeschreibamt of the Vienna Magistrate and were not accessible to the public. Therefore these thefts seem to have been an inside job, perpetrated by one of the City's employees. Although we have to accept the loss of the entries of Beethoven and Schubert, there is still occasion to wonder, because the original entries concerning the deaths of Mozart and Haydn are still extant. And since the original protocols are not handed out to readers anymore (following a suggestion that I filed a few years ago), these two documents seem to be safe.